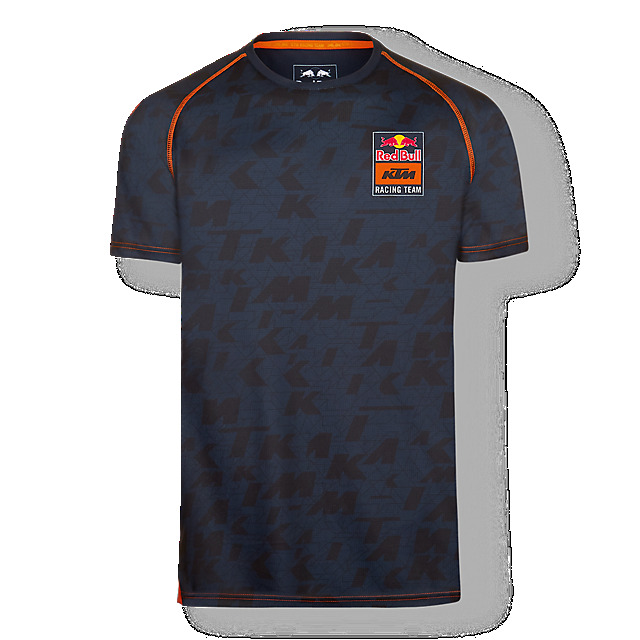 Gear up for your next ride with the Red Bull KTM Factory Racing Team Functional T-shirt. 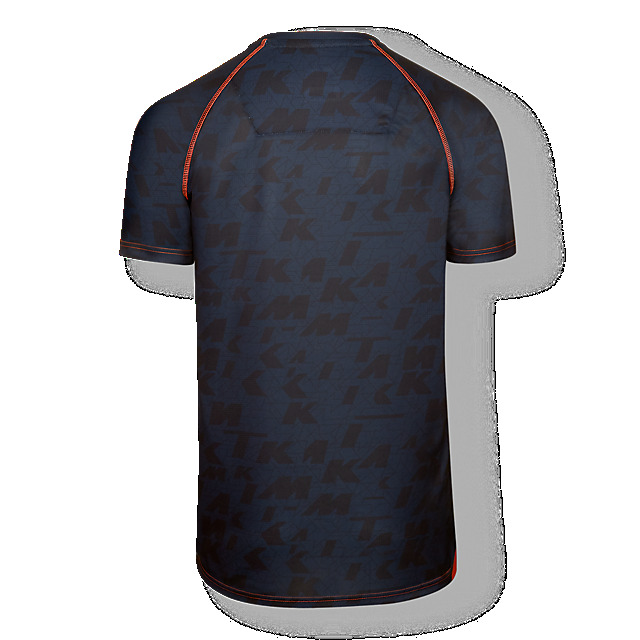 Created in soft and functional polyester for optimum performance, it features a subtle all-over mosaic print comprising KTM letters in navy, together with a KTM logo print on the front and orange stitching on the shoulders. Meanwhile, short sleeves and a crew neck will keep you comfortable and fresh. Why not team yours up with the matching shorts for the ultimate look?